Chinese Wikisimpsons (Chinese: 辛普森维基) was the Chinese wiki dedicated to The Simpsons. 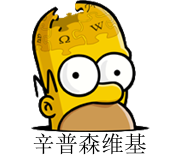 It was started on August 8, 2011 as part of the Simpsons Wiki Alliance. The wiki was created by Jake after requested by Smiley12. Unfortunately, the wiki closed due to lack of visitors. In its history it only had five visitors located in China.